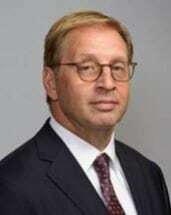 Mr. Schmitt graduated with a Bachelor of Science degree in business administration and economics from Illinois College in 1981. He received his law degree from the University of Missouri-Kansas City in 1989. He is a member of the Missouri Bar (1990) and the Kansas Bar (1989). Since graduation Mr. Schmitt has been first chair in excess of 100 jury trials in both state and federal courts. Appellate experience includes argument before the Missouri Supreme Court, Kansas Supreme Court, Missouri Court of Appeals and the Kansas Court of Appeals. The cases tried to verdict range from ordinary traffic and premises liability matters to complex product liability, construction defect and insurance disputes. For the first several years of his legal career Mr. Schmitt worked at and founded law firms that catered to businesses and insurance companies. During that period of time Mr. Schmitt was approached by individuals who had been injured in motorcycle and other traffic accidents and others who had claims denied by insurance companies. Mr. Schmitt found that representing people was more rewarding personally and professionally and he now devotes 100 percent of his practice to those persons who have been injured in traffic accident, through medical malpractice, by a defective product or have had claims wrongfully denied by an insurance company. Mr. Schmitt holds an "AV" rating from Martindale Hubbell; this is the highest rating issued by Martindale-Hubbell. He holds a "Superb" rating by AVVO; again, this is the highest rating that the entity awards. He has been named "Best of the Bar" by the Kansas City Business Journal. He has been named as a Super Lawyer for both Missouri and Kansas. He is a member of the American Association for Justice, the Missouri Association of Trial Attorneys, the Kansas Association for Justice, the Kansas City Metropolitan Bar Association, the Clay County Bar Association (Board of Directors 2007) and the Million Dollar Advocates Forum. Mr. Schmitt is listed as a "Top 100" trial lawyer by the National Trial Lawyers Association (NTLA). He is a member of the executive committee for the "Insurance Bad Faith" section of the NTLA. In 2002, Mr. Schmitt received the Robert C. Welch Award from the Kansas City Metropolitan Bar Association for exemplary commitment to the delivery of pro bono legal services to the local community. Mr. Schmitt is a frequent speaker regarding issues related to trial advocacy. His writing has been published by the Missouri Bar regarding civil liability aspects of traffic accident involving intoxicated motorists. He is a member of the American Board of Trial Advocates. Ben is an avid motorcycle rider who enjoys touring, road racing and motocross and has a special interest in motorcycle-related cases.